Find driving lessons in Barking with our expert driving instructors in Barking that can teach you how to drive in Barking with your No.1 driving school in Barking, A Class Learners the driving school in Barking has more pass pictures than ony other driving school in Barking. We have driving lessons in Barking with male and female driving instructors in Barking, that are highly skilled and fully qualified to teach learners in Barking. 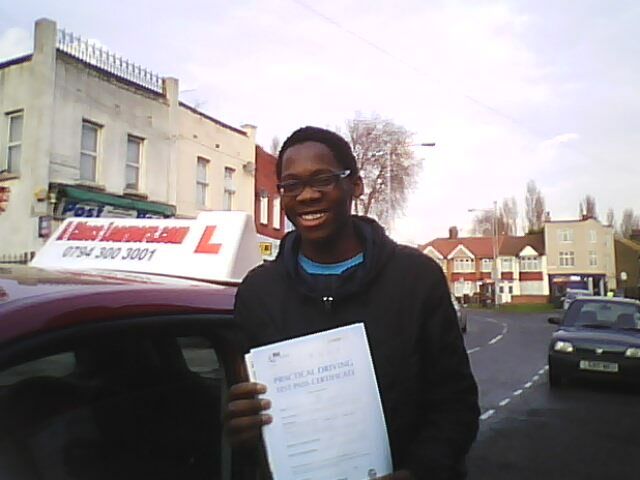 Our driving lessons in Barking are all conducted in and around Barking and Dagenham using a learner centred approach. We also have Automatic driving lessons in Barking available as well as female automatic driving instructors that teach automatic driving lessons in Barking and Dagenham. We provide affordable cheap driving lessons in Barking and Dagenham. 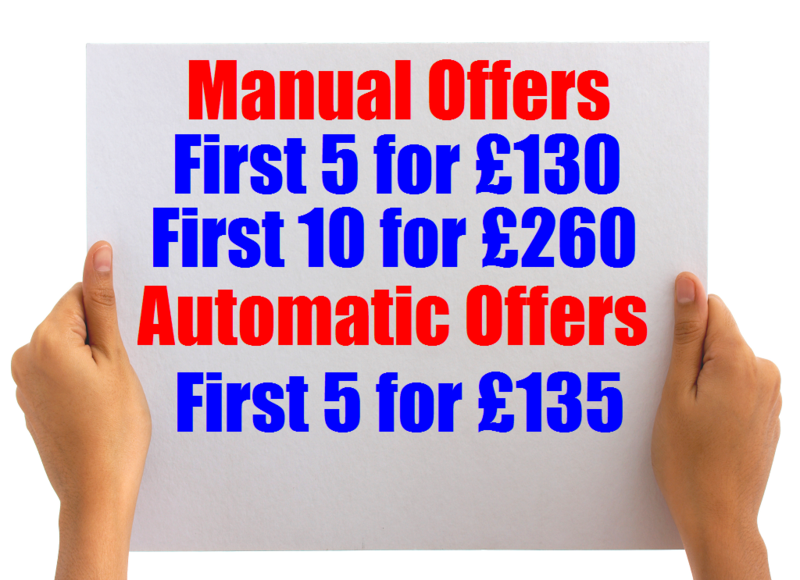 Thereafter our normal price of manual driving lessons in Barking costs just £20 per hour, or you could block book 10 for £190 as many times as you like. Please note the above special offers are only one offer per person and any block booking must be paid to the driving instructor in cash at the start of your first driving lesson in Barking. Book your driving lessons in Barking with our driving school in Barking. 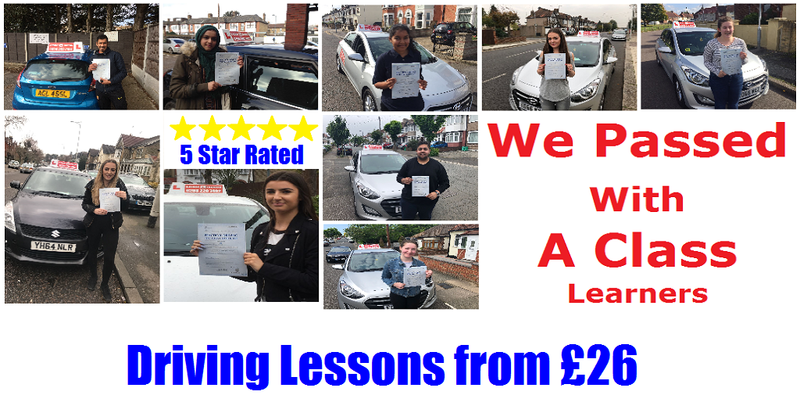 We are A Class Learners your Local Driving School in Barking - We offer Driving Lessons in Barking - Our driving instructors in Barking are fully qualified experienced and professional and will make sure you pass your driving test in Barking. We offer driving lessons in Upney, Thames View, Creekmouth, Barking Abbey and Barking town centre. Call 0208 220 7402 To Book Your Driving Lessons in IG11. Change your life, take Driving Lessons in Barking and Dagenham. Our Driving School covers: IG11, RM6, RM7, RM8, RM9 and RM10 postcodes. We also cover surrounding areas like Barking Town where your local driving test centre is located. Change your Life ... Learn to Drive in Barking. Our driving instructors in Barking are fully qualified and approved by the DVSA. We have male and female driving instructors in Barking that are patient, reliable and highly skilled. Our Barking driving instructors use track records so that you know exactly at which stage of learning you are at every step of the way with your driving instructor in Barking. Our skilled driving instructors in Barking will normally agree a plan of learning with you and tell you what your learning and why your learning a skill and what would happen if you didn't learn a certain skill to cope in everyday driving. Our Barking driving instructors have experience with all types of learners from: Beginners: New Drivers: Learners who have had a few driving lessons already: Driving test retake: Refresher Driving Lessons: Or learners who know how to drive already but need a quick brush up and then straight to test. If you have a full driving licence but have not driven in a while: Defensive driving: If you have been in a car accident and need more driving lessons to build you confidence back on the road: You have been disqualified from driving and need to retake your driving test to get your driving licence again. Please call us to book a driving instructor in Barking. We teach and specialise in automatic driving lessons in Barking and surrounding Barking London areas. Finding a good automatic driving instructor in Barking is what all learner's look for. All the good automatic driving instructors teach automatic driving lessons in Barking for our driving school in Barking. We can claim this because, we have so many happy learners that have passed their automatic driving tests with us and you can see this on our Reviews page. 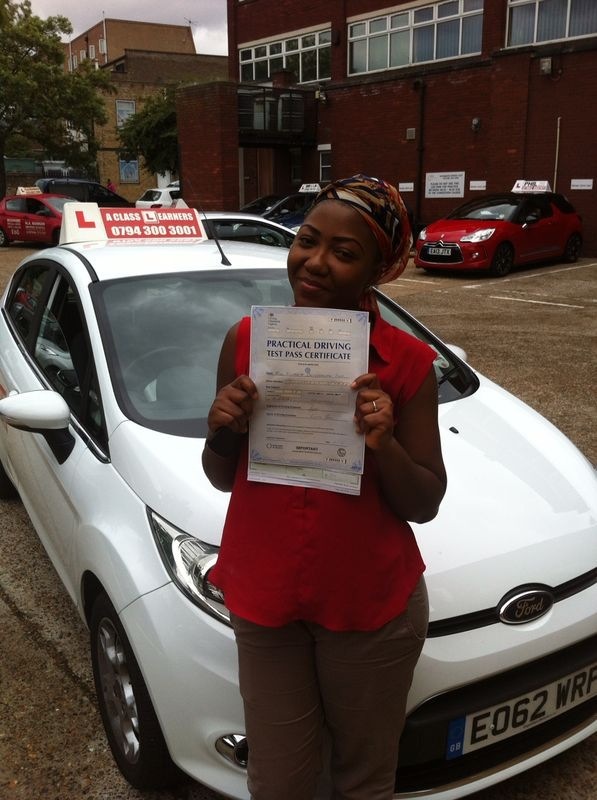 We also have female automatic driving instructors in Barking available upon request that will teach you to the highest standards to help you pass your automatic driving test first time. Our Driving School in Barking offers Intensive Driving Lessons, Manual and Automatic Driving Lessons in Barking and driving lessons in Barking and Dagenham. Here at A Class Learners the driving school in Barking we also teach intensive driving courses for learners that want or need to pass their driving test quickly. If you have driving experience our Barking driving school will assess you first and then let you know how many driving lessons you will need to be fully ready for your driving test. If you are a beginner, our driving school in Barking and the DVSA advise that it can take up to 40 driving lessons to be ready for your driving test. The simple fact is the more practice you get with our driving school in Barking, the better you will be at driving and the more chance you will have to pass first time. A Class Learners, the Driving School in Barking offers cheap driving lessons in Barking from as little as £16 per hour (please see our prices page for more details. We have cheap automatic driving lessons in Barking too. Cheap driving lessons does not mean our quality is low it just means we have made sure we offer you the best price possible in Barking for driving lessons. All our driving instructors are approved by the DVSA, not only that we assess every driving instructor when they join us to check that they are up to a high standard of teaching. These checks are made by our senior driving instructor in Barking. If you need to bring your driving test appointment date to an earlier one than the one you already have in Barking, find driving test cancellations with www.shortnoticetests.com. They can get you a driving test date with in a week. If you mention our driving school in Barking you will be put at the top of their list.
" Thank you A Class Learners I passed first time and would recommend A Class Learners to everyone in Barking who are looking for driving lessons.
" My driving instructor in Barking was the best. I knew how to drive already but needed to polish up my driving to get up to test standard. Was with another driving school and decided to change as they kept letting me down. A Class Learners always turned up and they got me my licence. You can see more reviews here and see how good we really are at teaching driving lessons in Barking. 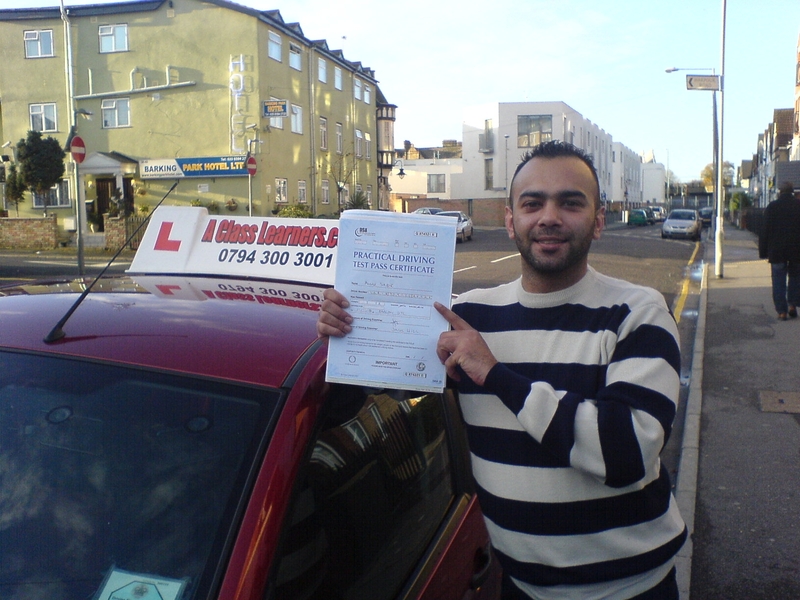 Find information on Driving Lessons in Dagenham, if you are looking for a driving school in Dagenham. To book your lessons in Barking call us on our Landline: 0208 220 7402 Please see our cheap driving lessons special offers on our prices page or book online today and pay in cash on your first driving lesson in Barking.